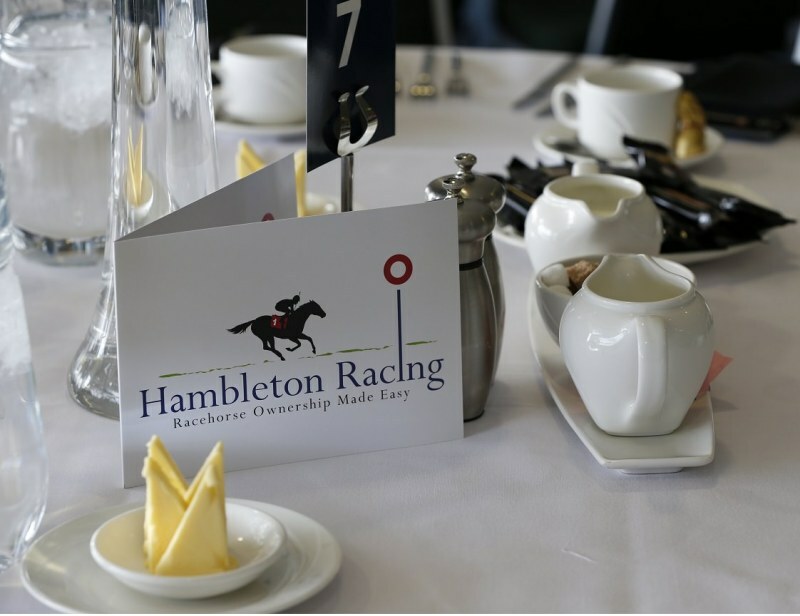 The generosity of Hambleton Racing’s owners is well established but their kindness and support for charity was once again in evidence at this year’s syndicate Owners’ Day at the weekend as we asked owners to support Macmillan. Our great friend and northern racing icon Bill Warby had nominated Macmillan after receiving treatment for throat cancer last year and our owners got right behind our efforts to raise funds for this excellent cause, with £2,500 raised on the afternoon. With five prizes on offer in our charity raffle, there was a huge level of support from across the box while owners also gave generous support via a charity race, either for buying extra runners in the race or just making kind donations. An auction lot proved very popular and witnessed some hugely generous bidding with Paul, an owner in Spiorad and our Sepoy two-year-old colt with David O’Meara, gaining the day with a winning bid of £1,100. Paul’s generosity typified the attitude of our owners who helped us raise an impressive total for Macmillan. Bill was thrilled to learn such a worthwhile amount had been raised for a charity so close to his heart. For our part, we’d like to take this chance to thank all our owners who supported this great cause at the weekend.